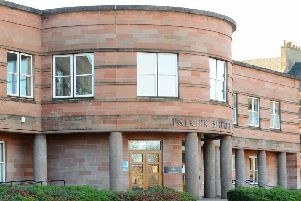 Falkirk Council’s budget is still two weeks away but its leader has announced there will be no closures of libraries, sports halls or community centres. Councillor Cecil Meiklejohn said: “This past six months has been difficult but productive. With just a few areas requiring clarification and tweaking of some areas of expenditure we can reveal, despite the predictions of doom and gloom by our opponents, there will be no closure of any libraries, sports halls or community centres. The SNP administration is still finalising details before the Falkirk Council budget meeting, which takes place on Wednesday, February 28. Councillor Meiklejohn believes she is close to signing off on a budget that protects services and targets shrinking resources for people rather property.